MAKE SAN DIEGO GREAT AGAIN! The Furrow Plan is the most exciting option for the future of professional sports in San Diego, and the World. 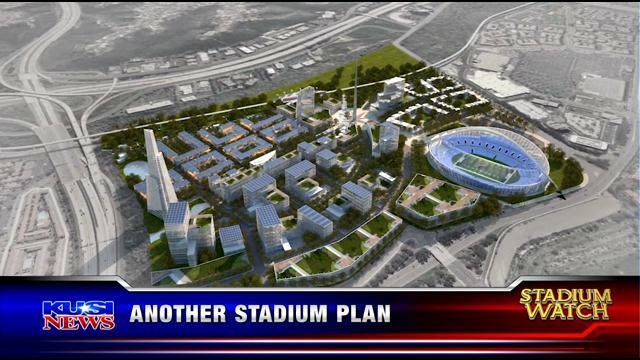 The “Furrow Plan” will bring the Super Bowl to San Diego every year for the next 30 years. The Furrow Plan will build a new state of the art football/multi-purpose stadium to Mission Valley located in the location of the current dilapidated Qualcomm Stadium. “The Super Bowl at Furrow Field” will be the new 8th Wonder of the World and will be surrounded by new shopping malls, hotels, a water park “Oikosland”and 17 new Starbuck’s locations. The Measure – Proposition “F” – will appear on the November Ballot. 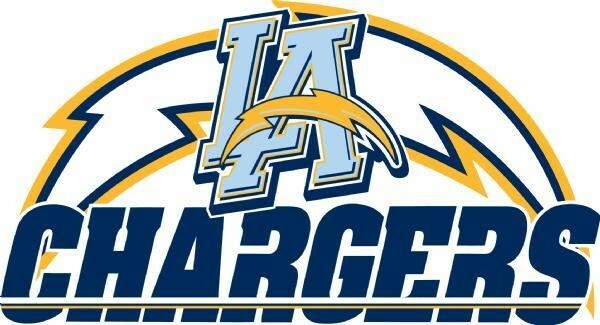 The Furrow Plan requires that the City of San Diego help the San Diego Chargers relocate to Los Angeles or any other city, in exchange for the 8 NFL home games, the NLF has tentatively agreed to host the Super Bowl in San Diego for the next 30 years once the new stadium is built. 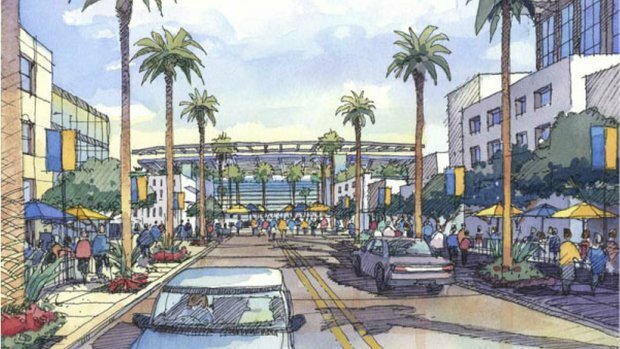 The approximate cost of the project is $150 million and will be funded partially by the NFL, San Diego hotel taxes, and tariffs collected on foreign soccer fans attending games to be played during the summer. Voters Must approve proposition “F” with a simple majority. Further details will be included in the 2016 Voter Guide. Thanksgiving. It’s my favorite holiday. Turkey with stuffing, mashed potatoes with gravy, and sweet potatoes with an argument about whether they are actually yams. Then there’s the green beans topped with fried onions, cheese and baked in cream of mushroom sauce. I’m pretty sure this recipe disqualifies the green beans as a vegetable. Sweet rolls, dinner rolls, and rolling off the couch a few hours later for leftovers. Wait, who won the football game? I must have dozed off in a turkey coma. Pass the cranberry sauce please. But it’s doing all of this with family that is the best. Some of our most meaningful and most ridiculous discussions have occurred during this annual gathering. Many times we’ll share something specific that we are thankful for, which is also nice, but Thanksgiving is about much more than that. It’s actually a reminder about our posture. When George Washington gave his Thanksgiving Proclamation on October 3, 1789, he was instructed to do so by congress in order “to recommend to the people of the United States a day of public thanksgiving and prayer, to be observed by acknowledging with grateful hearts the many and signal favors of Almighty God, especially by affording them an opportunity peaceably to establish a form of government for their safety and happiness:” This proclamation was not some sort of perfunctory duty of a head of state, it was great leadership. Washington and the Congress understood that the new nation’s posture must be one of thanksgiving or else the nation would fail. A posture of thanksgiving is the foundation of these values he envisions for our national character: humility, empowerment, performance of duty, blessing, consistency, wisdom, justice, discretion, faithfulness, protection, guidance, efficiency, peace and harmony, education, true worship, ingenuity and invention, discovery and prosperity. Where these are missing, you will find a posture of thanksgiving is missing. Instead, you’ll find a posture of victimhood, cynicism and arrogance. “Our sins” primarily refers to american slavery, of which we had been unrepentant to God and also unrepentant to our own founding documents and ideals. But even in the course of civil war and what Lincoln believed was divine punishment and consequence for these national transgressions, he knew how important it was that we maintain a posture of thankfulness, even through the darkest of times. There could be no union without a thanksgiving posture. The need for a posture of thanksgiving has not changed. Today, our nation is slouching more than it has in a long time, and we need to adjust our posture. Increasingly, we have a posture of victimhood and selfishness. We are ungrateful and jealous, unrepentant and prideful. This posture is contrary to who we are called to be and it is having an effect. Just turn on the news and witness the absurdity on all sides. This year, let us renew our posture of thanksgiving. When we are thankful, we remember that we are a people called to lead with our freedoms, in humility and truth, with sacrifice and generosity and strength. When we see or experience injustice, we must not wallow in it or leverage it to our own petty interests or useless ideologies. This is short sighted and the opposite of a thankful posture. Instead, a thankful people work through their differences to solve problems rather than affix blame for a political or financial advantage. A grateful people know they are beneficiaries of life, liberty and renewed opportunities, and that the benefactor of these rights is self-evident. Only in thankfulness for these things can we be just and faithful and proper in our administration of justice and mercy. Let us be thankful, for we are not a nation of victims and of the fearful, but we are a nation of helpers and of the brave. Our desire is to use our liberty to repent of our own injustices, and to shine a light on injustice elsewhere, wherever it may be. With a foundation of thankfulness, we will have the moral authority to do so, bringing the hope of resolution and reconciliation, of reconstruction and redemption. Finally, let us be grateful to God that, in spite of our current national sins of which there are many, we are still blessed more than any in history. Perhaps our apparent decline is a new divine punishment, perhaps it is mere consequence. Regardless, let us fix our posture, being penitent and thankful to the Living God that we still have time to do so. We have so much to offer a world that still longs to be free, including the Good News that frees us all from tyranny and hate and the sting of death. I hope you have a happy holiday, and not just one with food and family and friends, but with a renewed sense of purpose that comes from a Thanksgiving posture. An artist concept drawing from a few years ago. Like millions of others, I sat down with my boys to watch the end of the first half of Monday Night Football this week so the we could enjoy the new trailer for the new Star Wars movie, The Force Awakens. It was the highest rated last moments of a 2nd quarter and MNF halftime show in quite a while. Why so much excitement? It’s because the bulk of people my age are looking longingly to J.J. Abrams for the latest attempt to have a continuation of our childhood. It’s true. I saw the original Star Wars in the theater when I was not quite 6 years old. I managed to see it 10 times in theaters, which was quite an accomplishment, not just for a 6 year old, but at a time when there weren’t many theaters around anyway. Our town, Palmdale, California, had one lousy theater – The Palace Theater. The Palace was known for having a huge Coke stain in the middle of the right side of the screen, and also for having a lumpy floor as management simply painted over dropped Milk Duds rather than scoop them up. It was a jem, I miss it. This kid-like feeling we Generation X people now have about the Episode VII release was briefly ignited in 1999 when the first Star Wars prequel, The Phantom Menace, hit the theaters. I waited in line outside for hours for the first midnight show, along with my new girlfriend at the time. She stood there with me in the cold and rain surrounded by the nerd elite. Naturally, I married her. That night, we bonded emotionally as we experienced together the absolute horror of what was Episode I. The audience’s bad feeling about this began with the scrolling of the words “Trade Federation” and culminated in the opening scenes with the emergence of the dastardly Jar Jar Binks. At that moment, just 10 minutes into the movie, we felt a great disturbance in the theater, as if millions of childhood voices suddenly cried out in terror, and were suddenly silenced. But today, we are expecting to finally be able to put that behind us, to find closure and a new hope, in a new Star Wars film that reminds us why we went to experience it so many times in the 1970’s and 80’s. So we watch the trailers repeatedly, record our reactions, and post them for others to see. I can’t imagine it can get more nerdy. Well, I don’t know, I can imagine quite a bit. There is something else I was looking for, rather, listening for in the trailer. The music. Would we get a feel for the new score by John Williams? The music itself was arranged by composers who do music for trailers, but supposedly, it was inspired by Williams and then adapted from the previous movies. For me, the music of this new Star Wars flick will be just as important as the story. What is the last film score that we have heard that has left a lasting impression and universally recognizable tune in elevators or at symphony concerts? I remember walking out of the most recent Indiana Jones movie, disappointed, but nostalgic, humming the familiar theme song in the parking lot. It occurred to me that it had been quite a while since there was any comparable and memorable theme music to a movie. Don’t get me wrong, there are some great scores today, however, we don’t hum them or remember them for very long after the film. But nearly 40 years later, we still hear and immediately recognize themes from Superman, Indiana Jones, Chariots of Fire, Jaws, Rocky, and of course the music of the Star Wars saga. If you are older or younger, I bet you know all of those too. Well, I was not disappointed. The trailer’s music was wonderful. Some brilliant person thought this too and created a version of the trailer without the voices and narration and just the score. That’s really the reason I wrote all this, so that you can listen with me. 1. Original site stored on Hillary’s servers. 2. Confused Joe trying to buy Star Wars tickets from his own website. 3. 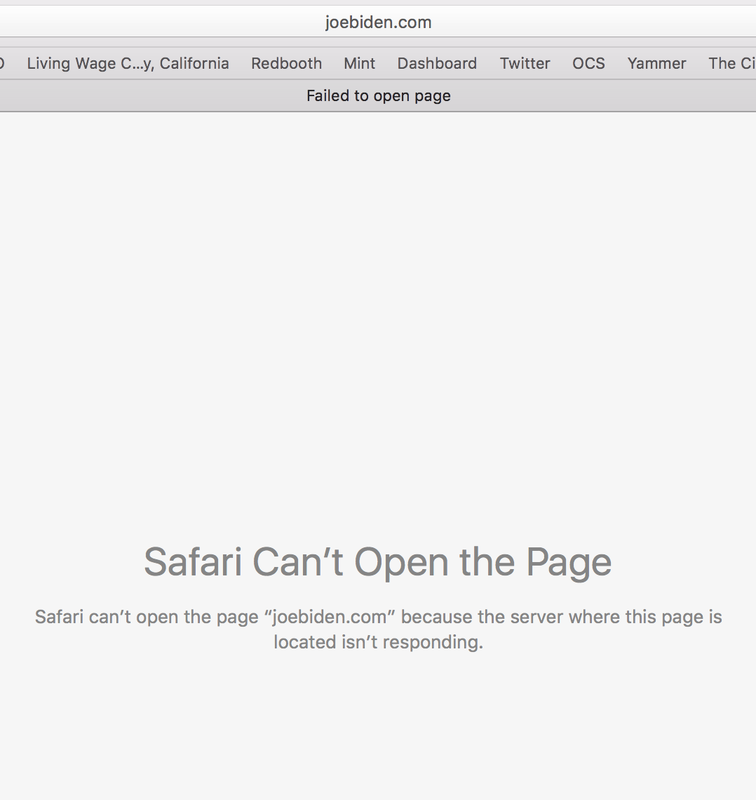 Biden 2016 website about to be uploaded. I’m pretty sure one of those is the reason. Just thought I’d join in the everything political Joe Biden watch. Some of you know I dabble a tiny bit in political prognosticating. A year ago, I would have told you that there is no chance Biden would run for President. But now I think if he runs he might very well win the Democrat nomination. I bet he would have said the same thing a year ago, and yet, here we are.